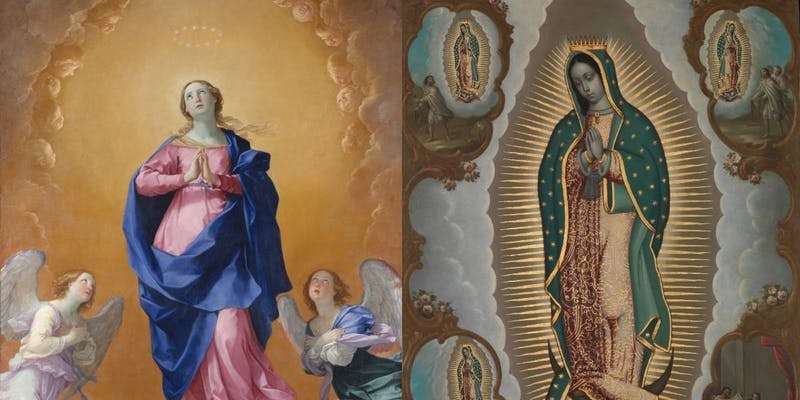 On December 8, St Mary’s Cathedral in San Francisco will celebrate something new and historic, the Mass of the Americas, a unique tribute to Our Lady of the Immaculate Conception, the patroness of the United States, and Our Lady of Guadalupe, the patroness of both Mexico and all the Americas. The Mass of the Americas was written by Frank La Rocca, the Benedict XVI Institute’s composer-in-residence, (FrankLaRocca.com); it is the first new Mass commissioned for the Cathedral since the installation Mass in 1971. Written for a 16-voice mixed chorus, accompanied by organ, string quartet, bells and marimba, in Spanish, Latin, English and Nahuatl (the Aztec language which Our Lady spoke to St Juan Diego), this polyphonic work in the Catholic tradition also incorporates traditional Mexican hymns to Mary, especially La Guadalupana. The Mass of the Americas was originally conceived by Archbishop Cordileone as the musical equivalent of mission architecture, something rooted in the tradition AND incorporating local elements to create something new. Sponsored by The Benedict XVI Institute for Sacred Music and Divine Worship, whose mission is to open the door of Beauty to bring people closer to God, the Mass of the Americas will be televised and livestreamed by EWTN. The liturgy will begin at 2 p.m. (PT); St Mary’s Cathedral 1111 Gough Street. The Mass was partly inspired by the fact that this year the feast of the Immaculate Conception falls on the Saturday before the feast of Our Lady of Guadalupe, which is the day the Archdiocesan Guadalupan celebrations take place, offering a unifying moment for the Anglo and Latino Church. “The Mass of the Americas thus embodies the way Mary, our Mother, unites all of us as God's children,” says Archbishop Salvatore Cordileone. A local television channel program on recently interviewed composer Frank La Rocca about his work.